ezra, candice, avery & greyson: Avery & Lorenzo...the final party!! Avery & Lorenzo...the final party!! 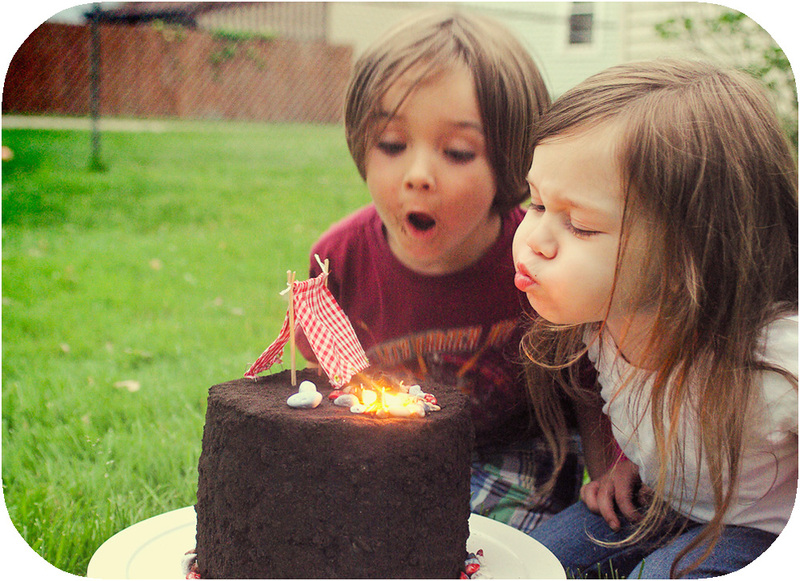 Avery and Enzo celebrated their last birthday together...tear. Zannah and I decided to throw them one more party before we went our separate ways. 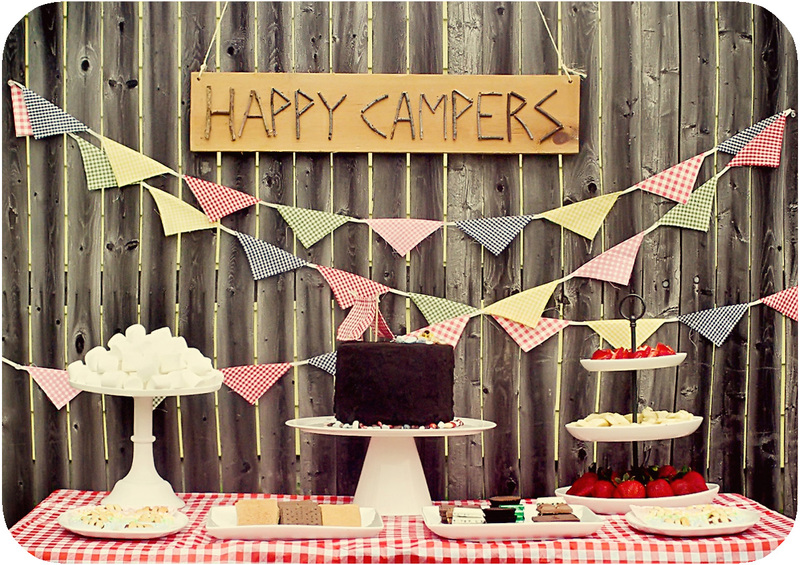 Since everyone was in the midst of packing, we kept it a little more low key this year with a Camping themed party. 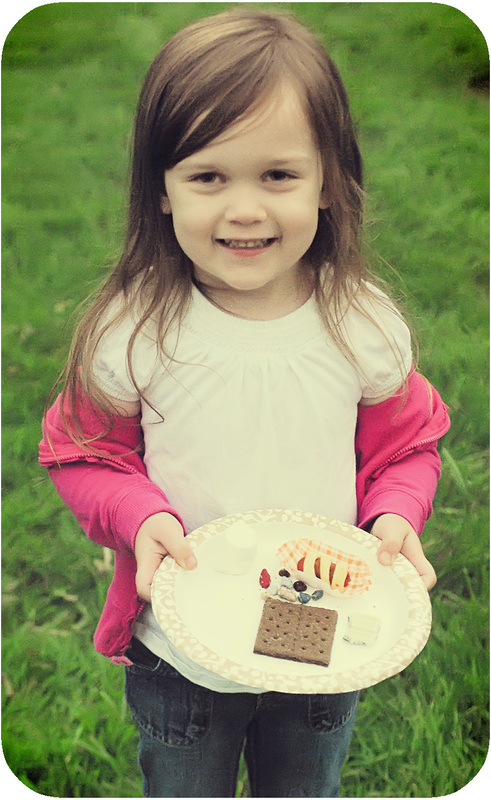 Even though it was much less work than last year, it still turned out adorable and the kids had so much fun. 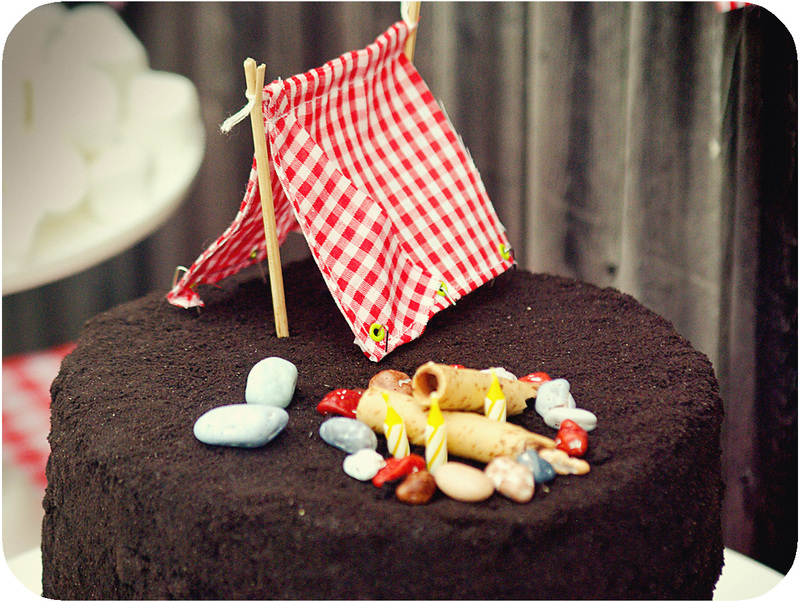 The most adorable camping cake ever, made by Zannah. She never disappoints with her baking creations. 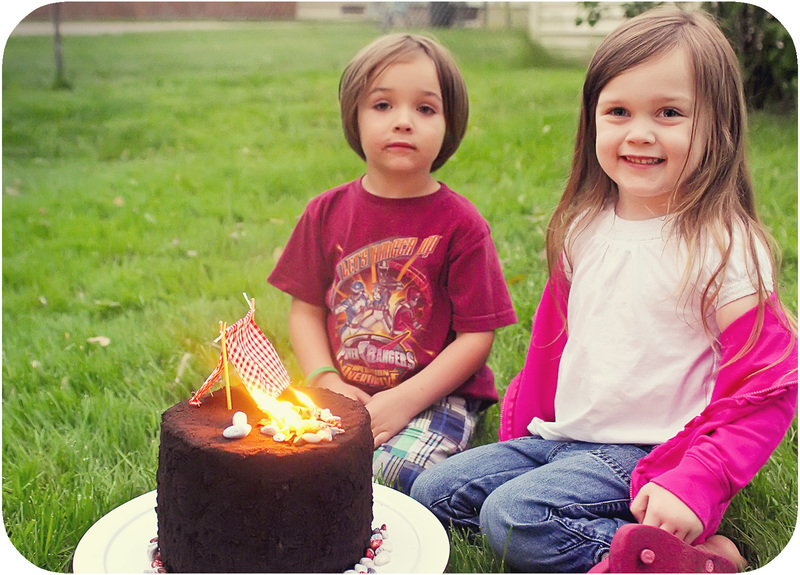 She takes on the cake every year and I am getting a little nervous that Avery's future party cakes will be made my me...cakes stress me out! Sign by me, Stick collection by Avery and Greyson. 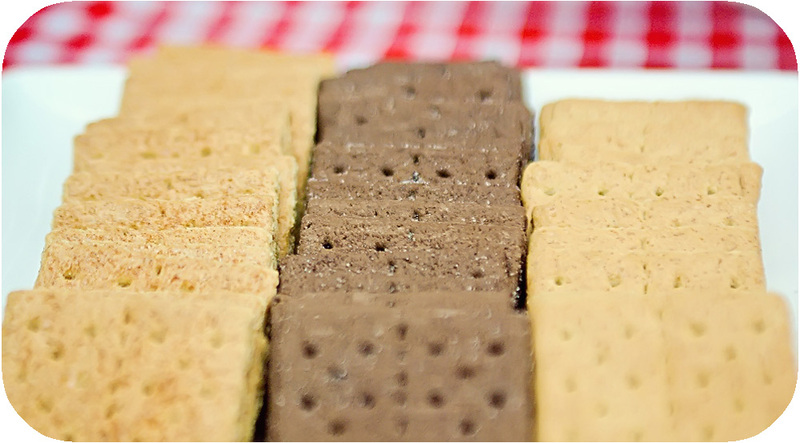 No Camping Party is complete without a S'more Bar. This year we had a couple of party games for the kids. Here is the bag for their Camping Scavenger Hunt. Avery loved it. We had to have a few more scavenger hunts over the next few day. 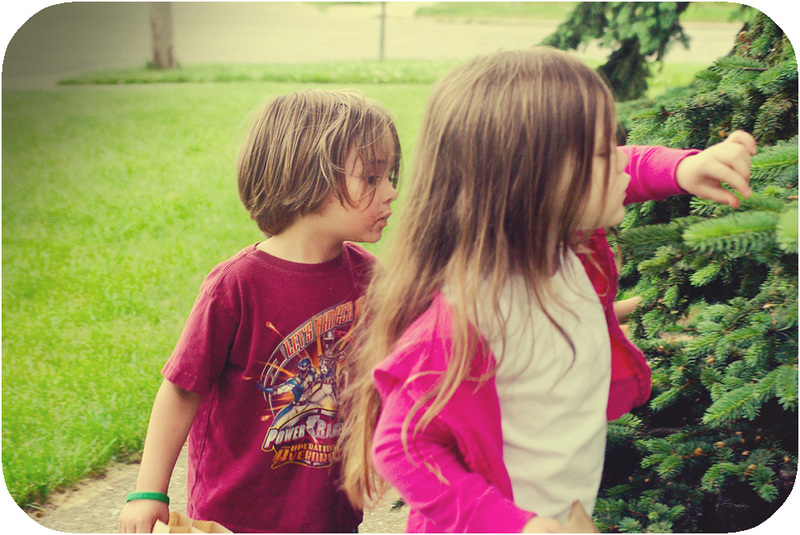 Searching for baby pine cones. Making sure to find everything on the list. 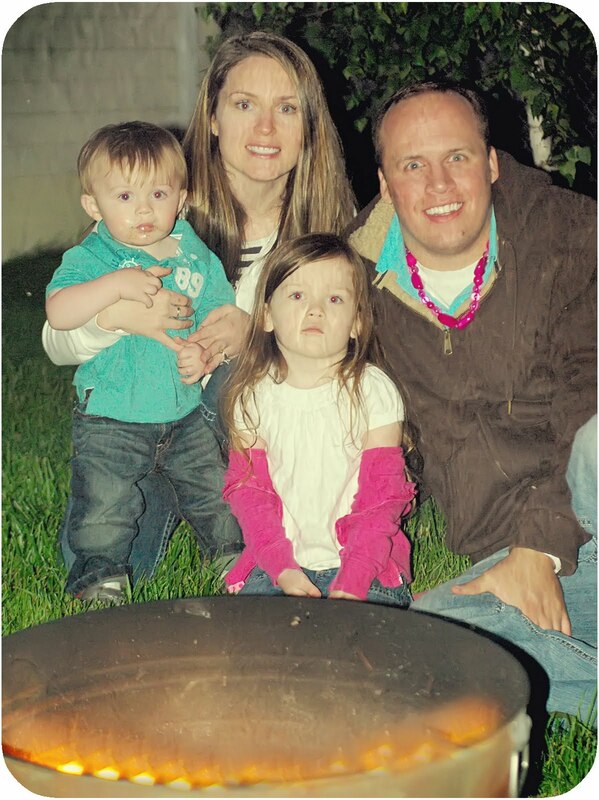 Our Family by the Campfire...It was a great day! PS. 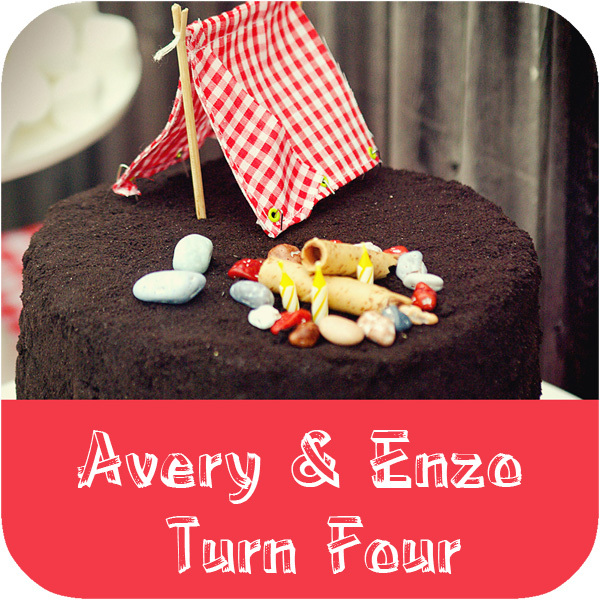 If you missed Avery & Enzo's THIRD and SECOND birthday parties, that might be because I just got around to posting them. I know, I'm awesome. Click on the links to check them out. Very cute. Wish I could've been there. Could you tell me where you got those gingham liners? They are adorable! You guys are so talented! It looks adorable. Are you still in Buffalo? 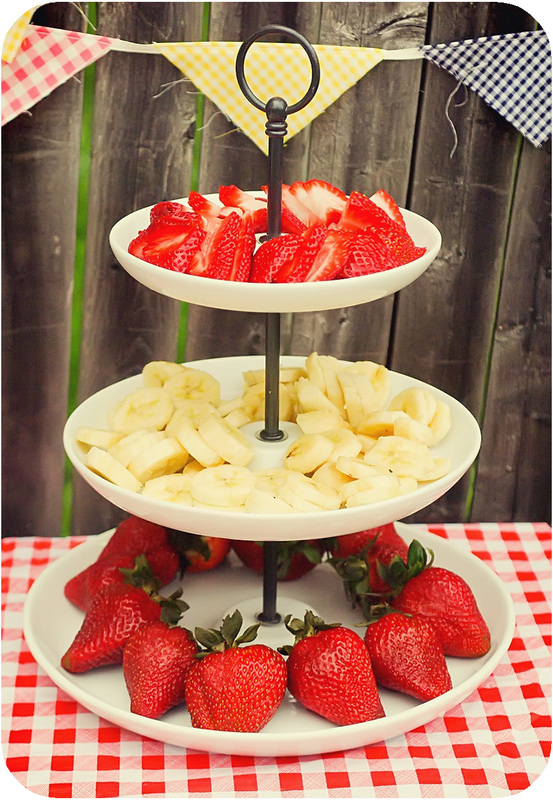 holy cow...I found your rainbow party from pinterest and I was amazed! 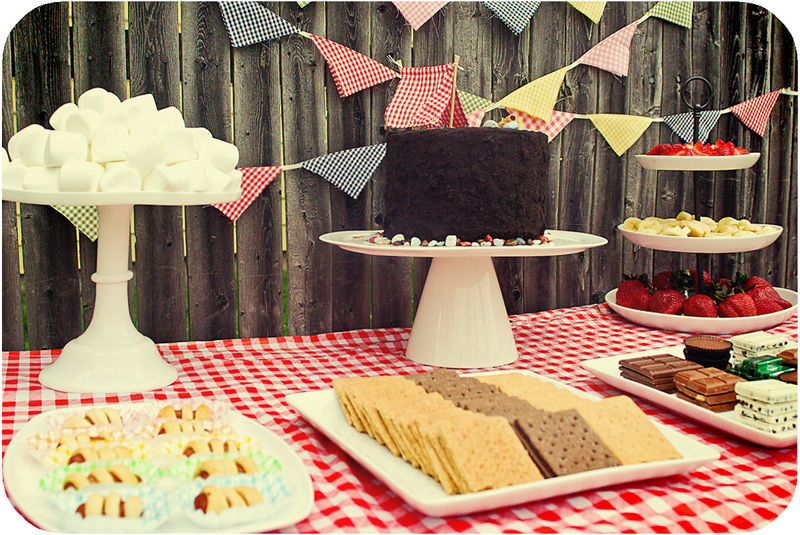 And this party...oh my gosh you have really outdone yourself! 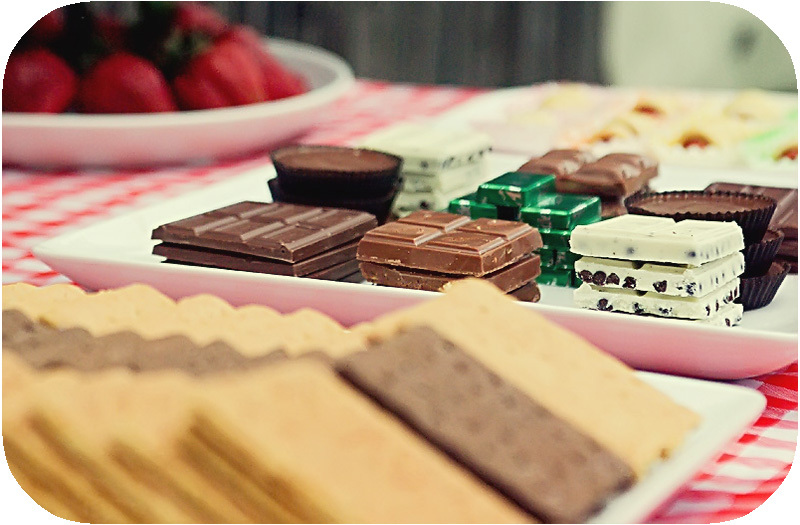 You sure know how to throw a great bash! 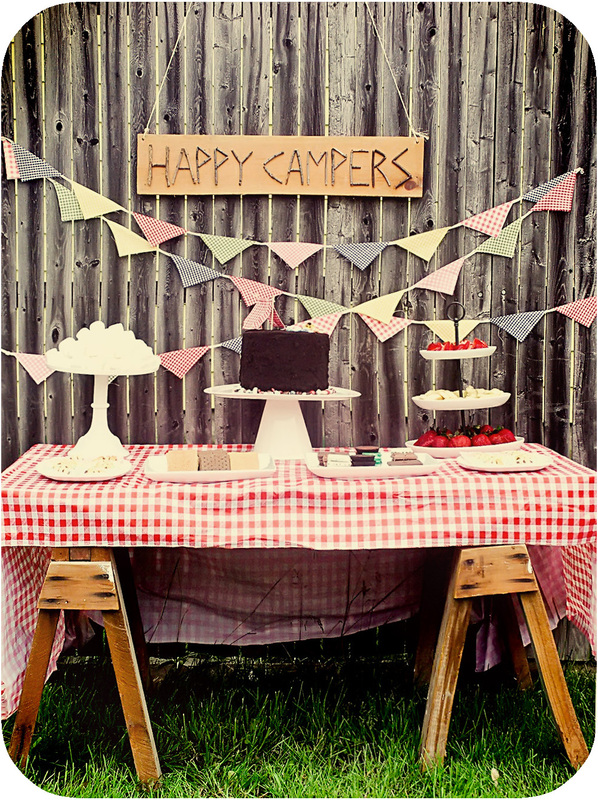 Wanna be my party planner...I have a shower to throw next weekend and am wracking my brain as to what I want to do! YOu have so many great ideas!!! Thanks for sharing!!! truly! 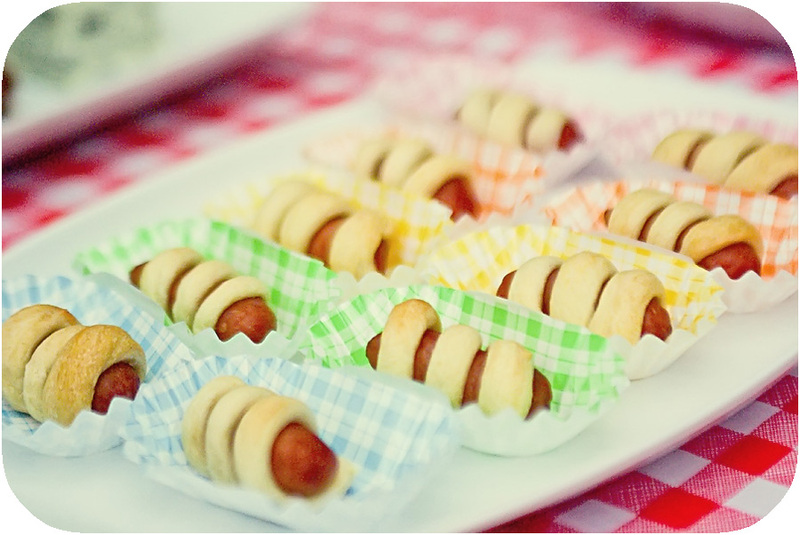 Discovered your blog and super cute party photos on pinterst. 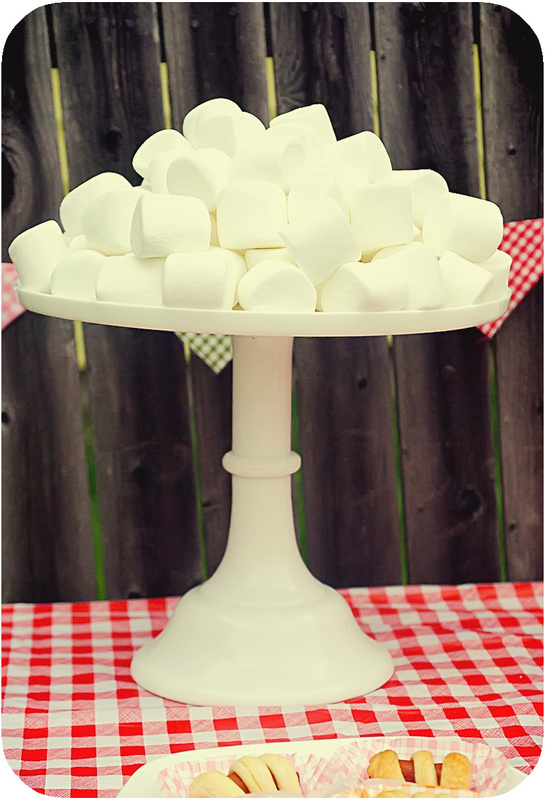 I actually do a Fridays party feature on my blog every Friday and I am featuring your party! Come check it out! 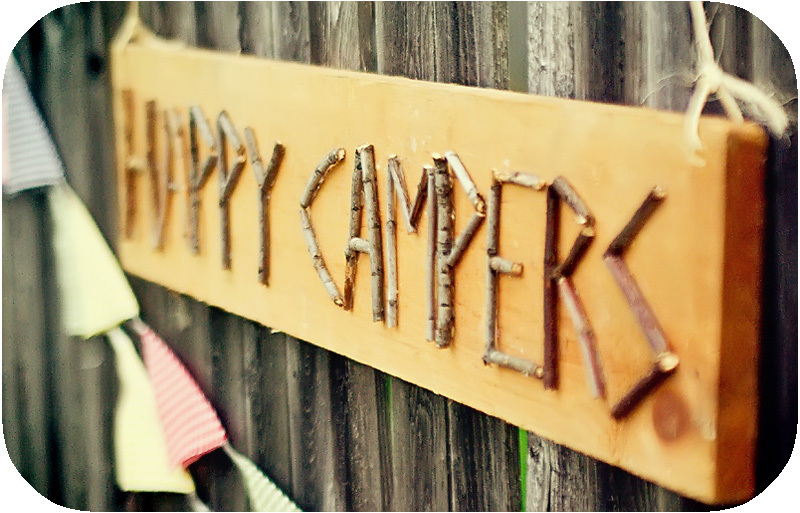 I'm planning a camping birthday party for my daughter. 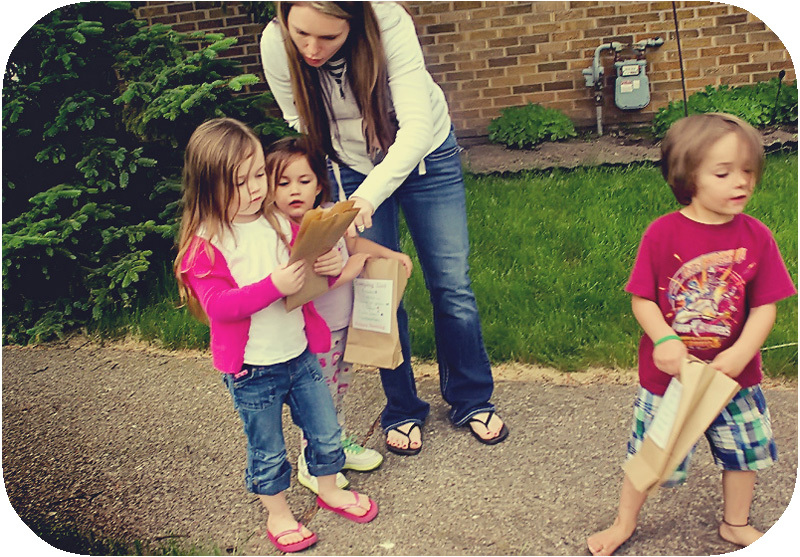 I love the scavenger hunt template you used for the paper bags. I haven't been able to find another I like as much. Could you share the template with me? Thank you greatly! 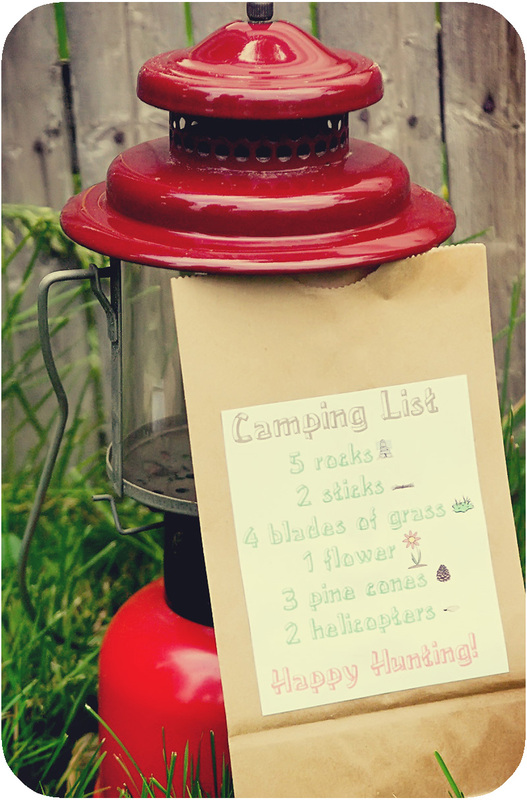 Is there anyway I could get the template for the "Camping List?" 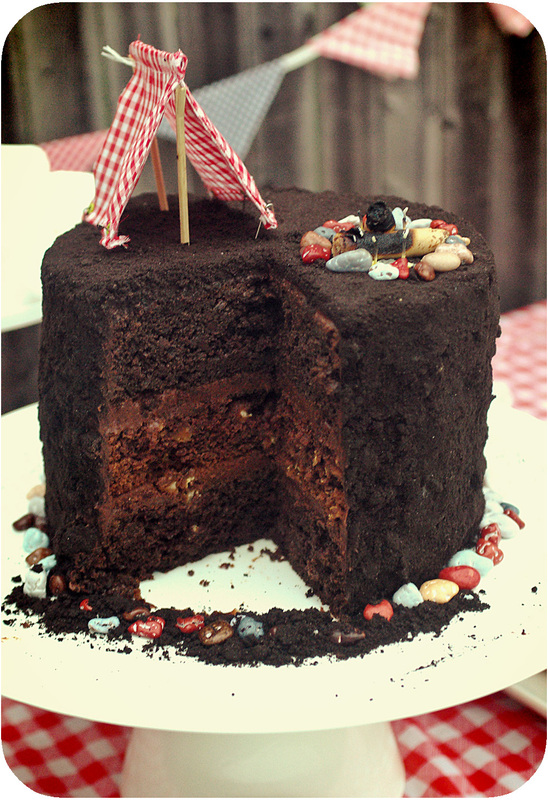 Also, what is in that cake!? It looks amazing! Wow! 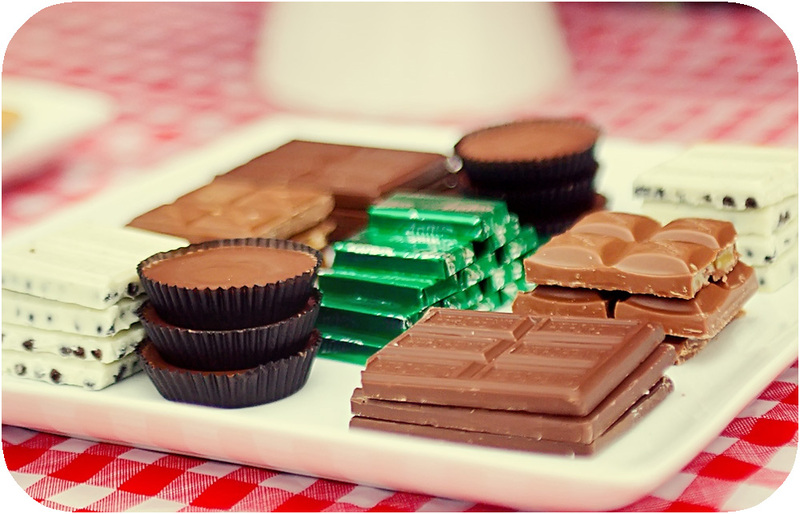 this post made my mouth watery. 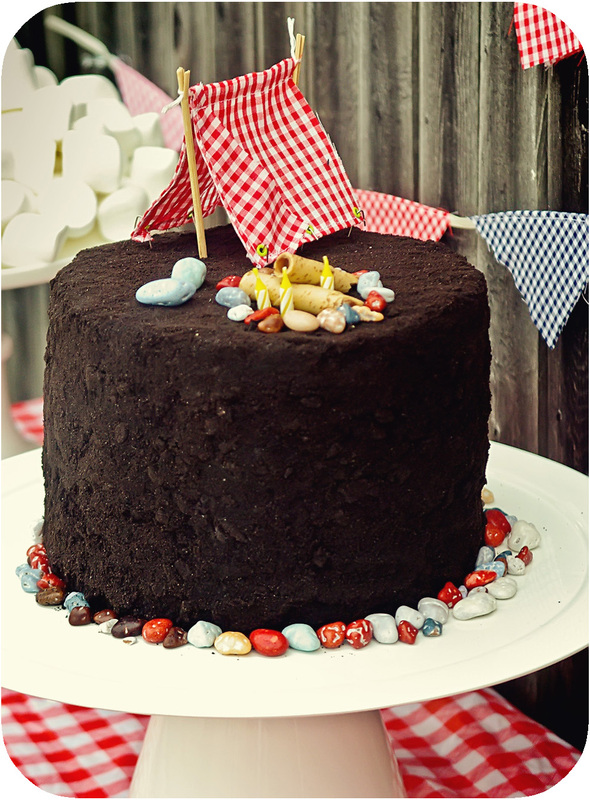 I would feel very lucky and happy if you also share some of the recipes here with me. 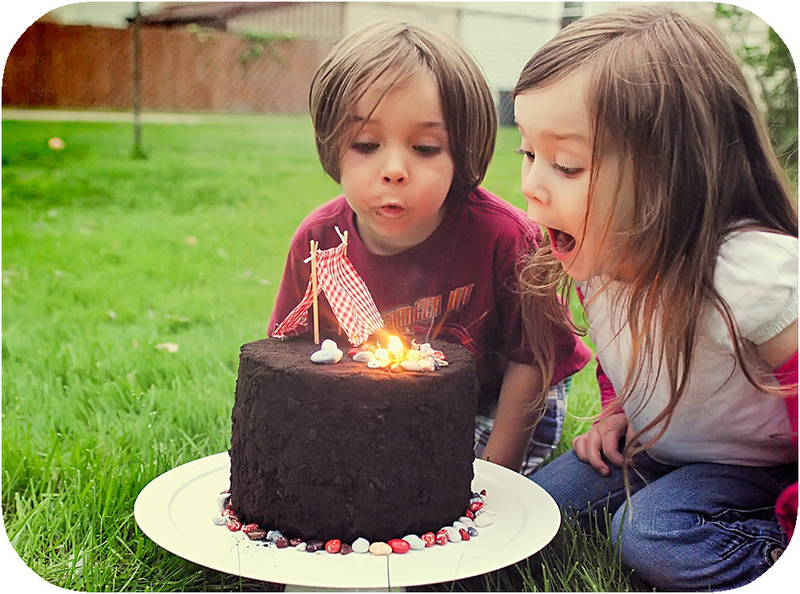 It is my son’s birthday next month and I have booked a beautiful event venue Atlanta for it. 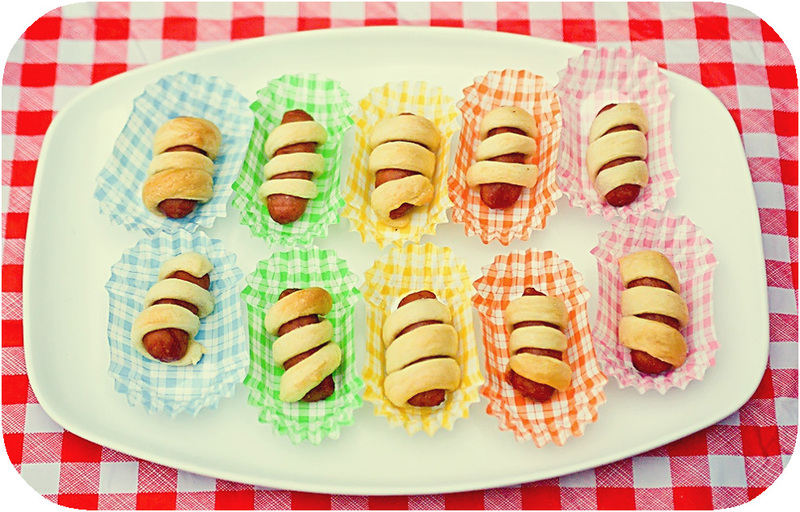 I seriously want to bake and cook like this.